There is this misconception among gym rats where you are allowed to look sloppy and a mess during a workout. We understand, the gym is not a place to look fabulous, but it still is not an excuse for you to look your worst. We are not saying this because it is a vanity thing. Your gym style can actually help with your workout routine. You need the proper attire so you don’t soak in sweat, the right shoes so you don’t sprain your ankle, and most importantly, you need to have the right hairstyle so that it doesn’t fall over your face whenever you do push-ups. While a ponytail is the go-to gym hairdo, there are many other ways in which you can style it up. Let’s take a look at some of the simple yet fashionable gym hairstyles you can try on your next workout session. When getting into gym hairstyles, expect to do a lot of French braids since it is the neatest and tucks in your hair, so it does not accidentally blind you during your intense workout. Once you’ve mastered the braids, make it into a bun to keep it off your back. This style is perfect for workouts that require you to lie on your back. The braided pigtails were arguably made famous by Britney Spears in her “…Baby One More Time” music video which looks cute in that squeaky clean girl next door sort of way. But it is also quite applicable for a workout. It keeps your hair out of your face and is more secure than a standard ponytail. Women usually opt for a ponytail whenever they hit the gym since it is the easiest and laziest hairstyle to pull off during a workout. While we approve of an Ariana Grande-like high ponytail any time, it isn’t the best option when it comes to a rigorous exercise session. Braid it instead which keeps it tidy and makes things comfortable for you. 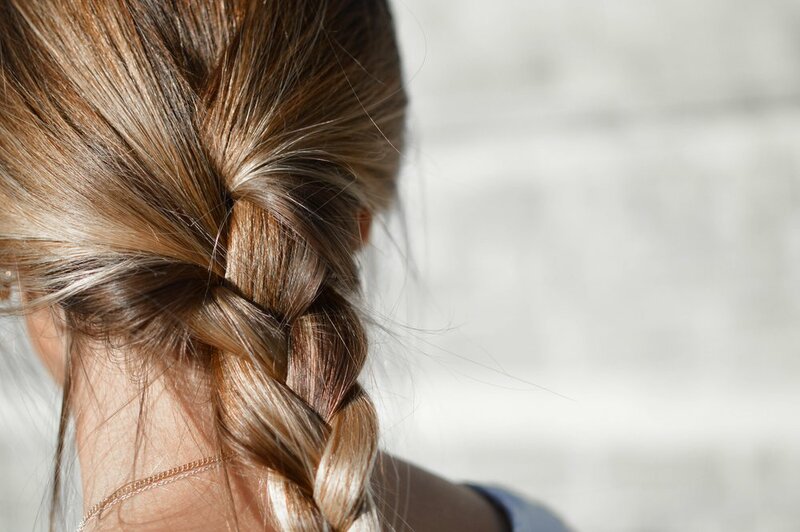 Like the braided ponytail, the side braid is a quick and easy way to get your hair off your face and neck. Only this time, your back will also be free from your hair sticking to it whenever you do some sit-up exercises. Also, it is the perfect hairstyle to take you from the gym to a healthy brunch with friends seamlessly. This style is for women with curly or short hairs. Simply tie your hair on the top of your head and you are done! Just make sure to use some leave-in conditioner to prevent your sweat-induced hair from being frizzy. Do you have a specific hair style when you go to the gym? How do you style up your hair on a workout session? Tell us in the comments section below.